The time is now for companies in the Australian construction industry to tap into the way their buyers are doing their research today. Overwhelmingly now, people are doing their research online. The Australian construction industry has been slow to take advantage of this and, in this environment, the early adopters are going to win out. 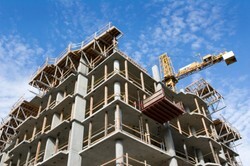 Marketing is undergoing a fundamental change in the building and construction industry. Whether at a commercial construction company in Sydney, a home builder in the Hunter Valley or a general construction company in Newcastle, the outlook is the same — buyers of construction services are vetting companies differently today. The time is now to plan your marketing for 2013. How is marketing today different? Why has it changed? That’s what I’ll address in this article.